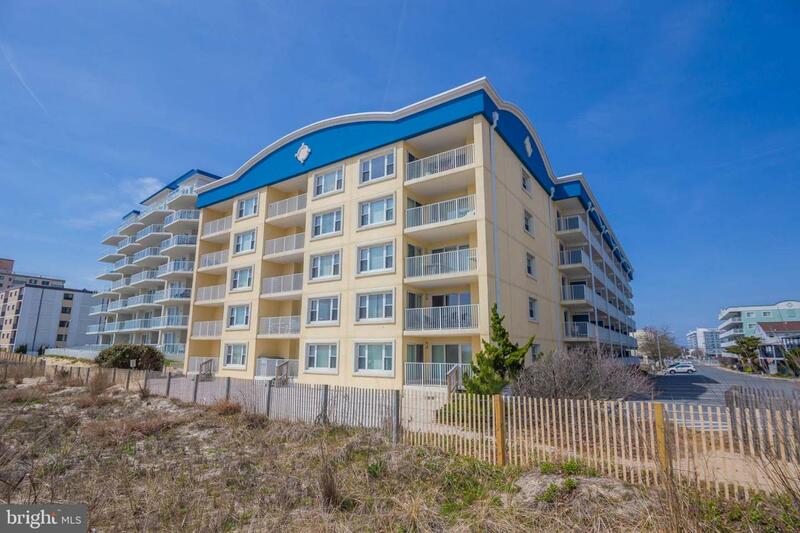 Great Mid-Ocean City location in a well maintained oceanfront building with an outdoor pool. Recent updates include new luxury vinyl plank flooring, newer stainless steel dishwasher and stove and bathroom updates. Sold fully furnished and comes with 2 assigned parking spaces. Excellent condition. Currently in the CBRB Vacation Rental program.